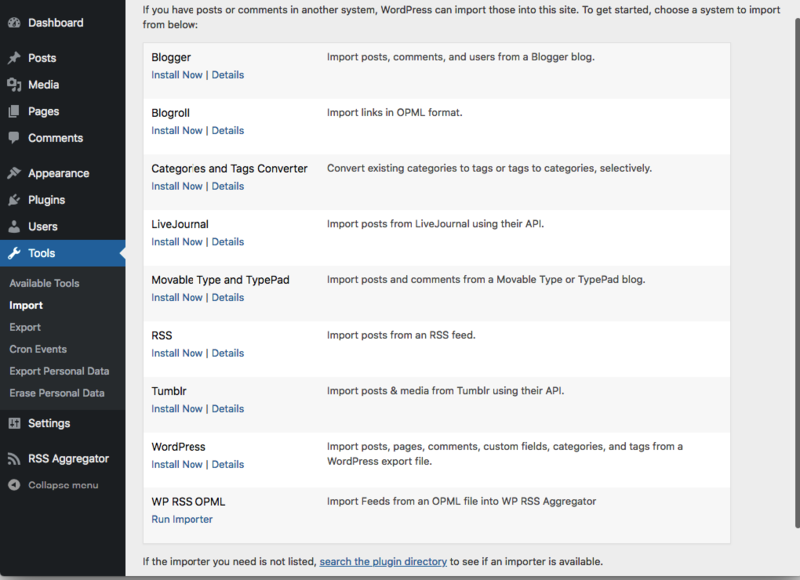 Imported Posts are stored in your WordPress site just like any other default WordPress post, making it easy for you to import and export them at will. If you are using a Custom Post Type, the same exact steps apply. The Posts will be imported and found in your website's Posts list, and can now be displayed using your theme or page builder. To export your imported Posts to a file, such as to keep backups while running some tests or to migrate them to another site, simply navigate to Tools > Export in your WordPress dashboard, choose Posts (or whatever Custom Post Type you are importing into) and click the Download Export File button. Please note that this option will export all your WordPress Posts (or Custom Post Types), not only those imported by WP RSS Aggregator.